Located in an exclusive area of the Maresme coast. 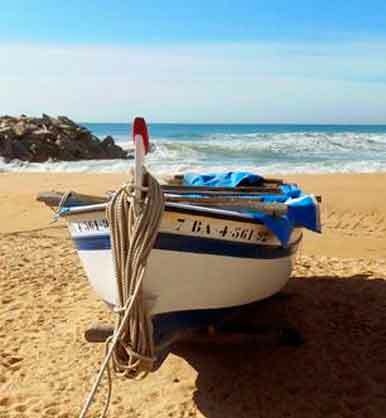 It is located in an exclusive area of the Maresme coast near the city of Barcelona. The house for sale in Llavaneres has 530 m2 built on a 2600 m2 plot. The distribution of the House is practically done on one floor. Upstairs is the master bedroom having a large dressing room, bathroom and gym room with Turkish bathtub. It has an access to the garden by a spiral staircase. On this floor is the large hall that divides the two areas of the house. A spacious and bright living-dining room with fireplace, having incredible views and direct access to a nice terrace decorated with wooden beams and a garden with an infinity pool, kitchen with pantry, laundry room, toilet, housekeeper room with bathroom. On this same floor are three bedrooms, all with their own bathroom and fitted wardrobes. There is also a separate apartment facing the pool, which can be annexed to the main construction. The house is equipped with A / C in the master bedroom, terracotta floors, wooden carpentry, armored glass windows, perimeter alarm, closed garage for two cars ... This prestigious urbanization has large and well-kept garden areas, private security, security cameras throughout the area, counseling service and a magnificent sports area exclusively for residents. This House is located in a privileged natural environment, it offers a high quality of life and total privacy thanks to the location. Close to golf courses, marina and nautical club El Balís, international school, gastronomic offer, shopping centers and health services. Well connected by the main road National II and Highway C-32, only 35 km from Barcelona.